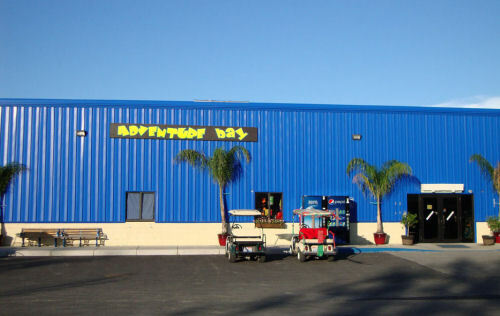 Come spend the whole day, or week, at Adventure Bay Amusement Park. Kids can horse around in the pool and play in the arcade. Adults can just hang by the pool. What is better than that? Adventure Bay is just outside of downtown Put-in-Bay. The Put-in-Bay Resort and Conference Center is a short walk as well as the Post Office and Island Hardware. The crown jewel of Adventure Bay is most certainly the pool. This 9000 square foot wonder is refreshing and beautiful. Decorated in a tiki theme, there are real palm tree gently swaying in the breeze and just a great, chill vibe. Groups of friends can reserve their own private deck spot or really go all out and rent a cabana. Once reserved, enjoy the benefits of a private server, bottle surface, and plenty of lounging. Cocktails and drinks are available as well as a full menu. Choose from pizza, paninis, salads, and new dishes created every season. The arcade is so much fun. Challenge friends to Golden Tee Golf, air hockey, or any number of classic games. Then you can redeem your tickets for awesome prizes. Still feeling competitive? Head to the go-cart track and race around the track. The carts are all electric so there’s no more noise nuisance. After you’ve sweated it out on the track, head back to the pool and enjoy your private cabana. Really, there’s nothing better than just spending the day here, relaxing. Once the day of relaxation is over, head into downtown for more fun. Listen to live music at the iconic Round House. Have a romantic cocktail for two at Red Moon or an Irish whiskey at Hooligans. There’s always enjoying the lake views at the Boardwalk, rum punch in hand. What a lovely day on the island.